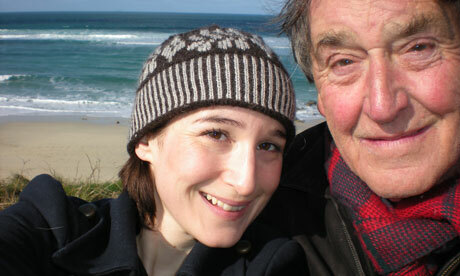 Rebecca Ley with her dad, Peter, who has dementia. Before someone you know gets seriously ill, you tend to think that medicine consists of absolutes. Right answers. Perfect prescriptions. Broken bones fused so you never feel a twinge. But since my dad developed vascular dementia, I’ve realised that opinions differ, mistakes are made. Sometimes you have to decide yourself what might be for the best. There are so many grey areas; you long for certainties, branches to cling on to. Take Dad’s diagnosis, for example. We all knew something was wrong. His short-term memory was shot. He flanked any conversation with bizarre non-sequiturs. He kept losing his car, taking the hinges off doors and dismantling appliances at night in the house where he lived alone. He’d leave 10 rambling messages in a row on our mobiles and then cheerily ring again, as if for the first time. Yet getting the medical authorities to concede there really was something going on was nigh on impossible. Part of me knows that’s how it occasionally has to be. Sometimes it’s better not to label the no-man’s land between health and illness, especially when it involves an individual’s loss of freedom. And confidentiality is important – there is only so far that concerned family members can go in expressing opinions. However, I still don’t think anyone spent enough time properly appraising him or taking our worries seriously. There needs to be a hand there to catch those who are freefalling. Dad was always charming, full of stories. When the consultant came to assess him at home, finally referred by the GP, Dad just spun his usual web of yarns. Made tea. Covered up the holes in his head. The doctor said he seemed fine. He’d been through a bit of stress lately, perhaps it was that. To be on the safe side, he referred him for tests for Alzheimer’s, which came back negative, of course, as the form of dementia Dad suffers from is vascular. So he was deemed capable. A few months later, things were worse. Dad kept visiting the police station and the hospital. I think, heart-breakingly, he wanted someone in authority to help, to stop the confusion in his head. By then his house was freezing as he’d attacked his boiler and gouged out the lock on his front door. If we got it fixed, he would break it again the very next night. So the consultant came again and did the same questionnaire. This time the diagnosis was “probable vascular dementia”. I find that “probable” infuriating, even now. I just don’t understand the room for doubt, when he was patently so poorly. And if it was there, why couldn’t someone have just spent a bit more time with him to make sure? I know the NHS is strapped. I appreciate the need for caution. But it might have prevented those frightening months when Dad spun so badly out of control. It might have stopped all those hours he spent zooming around country lanes in his snazzy red Citroën, when it wasn’t safe to do so. It could have prevented the time he nearly slipped into hypothermia under a thin blanket on a particularly icy night in his lonely house by the sea. It seems hard to believe, but that was only two and a half years ago. His deterioration has been so complete, that recalling our uncertainty over whether he was ill seems laughable. But now the diagnosis is incontrovertible, other ambiguities persist. Should he be started on anti-psychotic pills or will they damage his weak heart? Does the Valium help to make him calmer or just zonk him out? Just how often is he having those mini-strokes that peg his decline? The scary thing is that I’m not sure there are any right answers. But that doesn’t stop me longing for them.